In my class we have a new subject for this year which is called DARE it is all about keeping ourselves self also finding out more about ourselves. This task was fun because we had to get into a group of four and log into our Tagul account this is a website that creates a word cloud and it is very awesome to use. In my group of four we had to type the ABC on a Tagul and type words to answer the question why it's great to be me. For example for the letter A we put down the word active because we are young a very active. Why is it great to be me ? it's great to be me because I am a True friend I am hard working when I'm with my friends I am Brave, I am really Active I like play Netball to get Active and Run around the playground. Greetings, I come in pieces. My name is Uncle Fern and I come from the room of Room One. 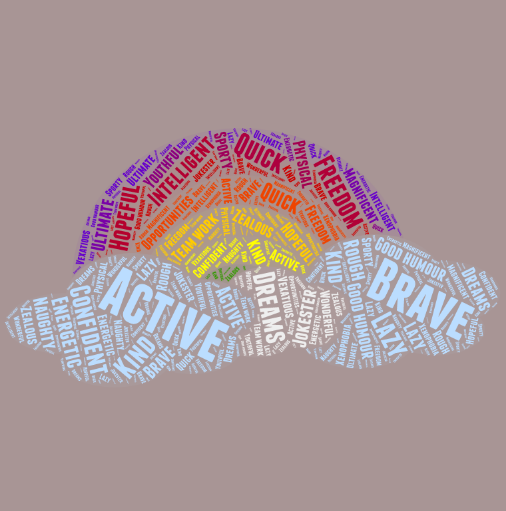 I really like your word cloud. I like the way you set everything and the whole idea of everything! I like how your class is doing DARE, it's really nice to see people who aren't afraid to be themselves and keep themselves, theirselves :D I think acceptance of yourself is very important, even though many people aren't. Recently I got into the rotary speech competition for my speech about being yourself and bullying. It was a great experience!